No PC or console ports this time around. 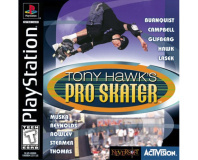 Tony Hawk and Activision are once again working on a game in the Pro Skater series after a four year hiatus. 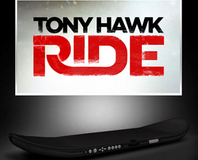 Activision has dated and priced the UK release of Tony Hawk: Ride. 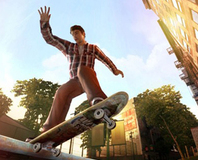 EA has announced Skate 3, which is set for a 2010 release and will have a co-op focus. 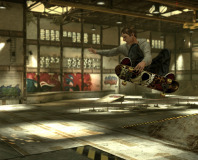 Activision has offered up some details of how the skateboard controller for Tony Hawk: Ride will work. 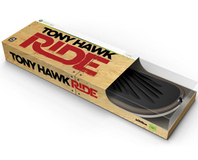 The new Tony Hawks game, Tony Hawk: Ride, will have a special skateboard peripheral for players to stand on. The sequel to the best skateboarding game of last year is inbound and this time the street-surfing is set in the earthquake-torn city of San Vanelona. With the ability to get off the board and move the props around though, could Skate be straying too far from the proven formula? Out of nowhere two of the biggest publishers in games have united - bringing Call of Duty, Tony Hawks, Guitar Hero and World of Warcraft all under one roof. ALK Co-Pilot is the official satnav software of the Gumball Rally this year, and the location legends invited us down to take a look at the outrageous cars on offer. How could we resist? It has been confirmed: Xbox 360 is launching with 15 games for the European launch on 2nd December. Perfect Dark Zero, Kameo, Project Gotham Racing 3 - which games will get you queuing up?